The work in Magic Chunks continues in the eco-baroque style that Marne Lucas and I have been developing and makes a strong connection between my past burl and tree-based imagery, my alpine fixation, and my Swiss heritage. Traditionally the alphorn was used to signal across mountain valleys and villages. The alphorn was used to calm the dairy cows and the twilight signal for the flocks of sheep to settle in for the night. This sound became the ritual signal for 'All is Well in the Valley'. The alphorn also called people to gather for celebrations and for war. 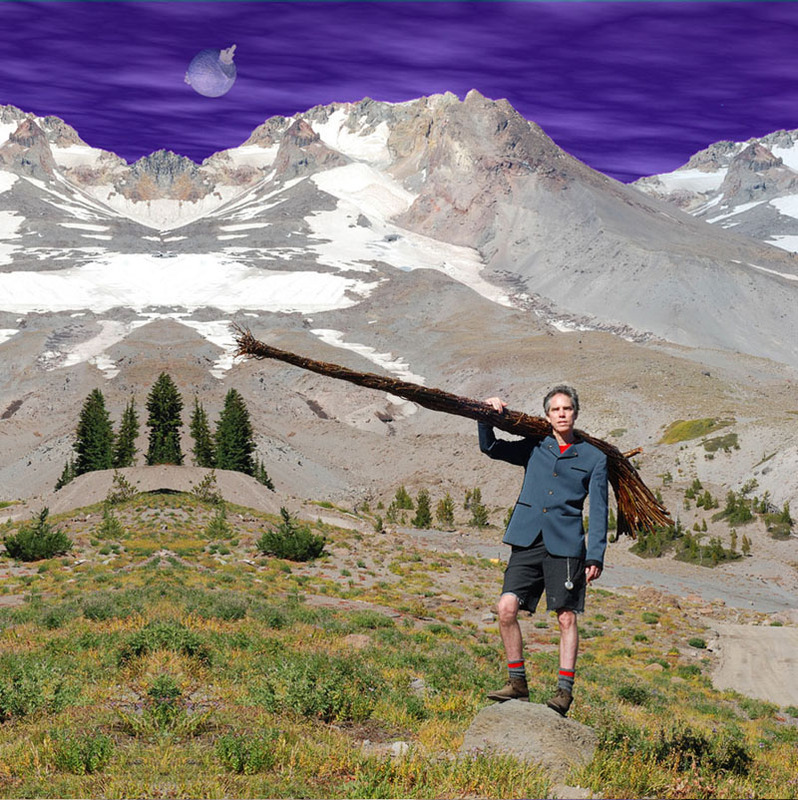 For me, the alphorn connects the natural with the metaphysical, and summons mysterious nature in the form of the burls and crystals and meteorites and fire and snow. The Philosopher's Burls may be viewed as religious icons for nature worshippers. Burls are not harmful to the trees, growing as an elaborate decorative reaction to some event, much like baroque ornamentation. Most trees follow modernist or minimalist principles but a few gifted wooden individuals create these burls to enhance their environment. None of that 'form follows function' approach will be entertained here. Eco- concerned with living things in relation to their environment. Baroque- extravagantly ornate, florid, and convoluted in character or style.